'A Nazi in all but name': Author argues Asperger's syndrome should be renamed. 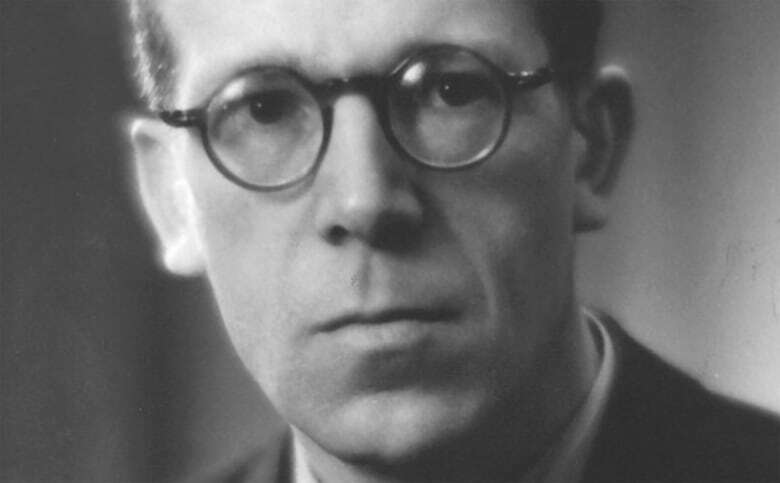 Hans Asperger's pioneering work on autism led to Asperger syndrome being named after him. But the author of a new book claims that he also collaborated in the Nazis' euthanization of children. 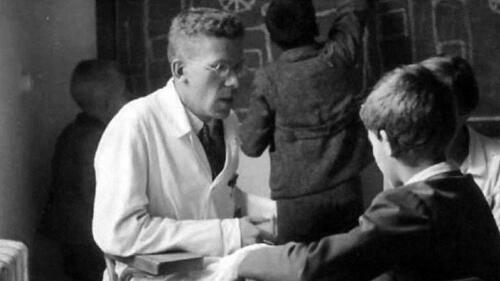 Doctor who did pioneering work on autism also collaborated in Nazi euthanization of children, says prof.
Hans Asperger with children at the University of Vienna, circa 1940. His contribution to the study of autism has been called into question. (Pictorial Press Ltd/Alamy Stock Photo). The Austrian pediatrician for whom Asperger syndrome is named doesn't deserve the honour of that title, because he collaborated with Nazis to euthanize children, according to a professor. Hans Asperger conducted pioneering research into what he termed "autistic psychopathy" during the Second World War in Vienna, but was also involved in screening children in line with Nazi policies on eugenics. "He did argue that some children could be redeemed ... but he did diagnose a number of children as ineducable, as did his colleagues, and they would be sent to Spiegelgrund for observation," Edith Sheffer told The Current's guest host Laura Lynch. These nurses who knew the children's names, and changed their beds, and fed them were responsible for issuing the drugs that then led to their deaths.- Edith Sheffer. The Am Spiegelgrund clinic in Vienna was the site of the euthanization of almost 800 children with physical or mental disabilities. Sheffer, a senior fellow at the Institute of European Studies at UC Berkeley, details this history in her book Asperger's Children: The Origins of Autism in Nazi Vienna. "They would take barbiturates and grind them up in food that the children would eat," Sheffer told Lynch, "and then when the children would be growing so weak from illness from the barbiturates, they would start injecting them, until ... they would die from pneumonia." The aim was to make the death appear to be from natural causes, she said, adding that the Nazis had a "deliberate, scientific process" for euthanizing children. "It was a different kind of killing ... where these children had long case files. They were referred to a panel of three in Berlin for careful examination and approval for each killing." Asperger was "close colleagues" with high-ranking participants in both the euthanasia program and the running of Spiegelgrund, she said. "There is no doubt that everyone in the medical community knew what was happening," she said, adding that "he was well aware of the risks" of sending children to the facility. Sheffer's claims echo similar ones published in the journal Molecular Autism in April. "Asperger managed to accommodate himself to the Nazi regime and was rewarded for his affirmations of loyalty with career opportunities." Asperger never officially joined the Nazi party. It's "a fact that he grabbed on to in the post-war period to really salvage his career," Sheffer said. "If you look more closely at his history, he was in fact a Nazi in all but name." She argued that he joined several organizations affiliated with the Nazis, and took up government positions at the Vienna Public Health Office, which was tasked with enforcing Nazi measures. "In order to have this position he was vetted very closely by the Nazi party, as well as the SS, and deemed to be a supporter of racial hygiene policies of sterilization," she said. His rapid career advancement in his 20s, she argued, was "because of his political reliability." While Sheffer acknowledges that moral certainty could be a luxury in Nazi Germany, she argued that Asperger's "livelihood [and] his family's well-being did not depend on these really voluntary choices." "For an ambitious physician, sure, you would go along, but you didn't have to do it to the extent that he did." A procession in memory of children murdered at Am Spiegelgrund, in Vienna, April 2002. (Heinz-Peter Bader/Reuters). Asperger avoided prosecution after the war, and became a "peripheral figure" in the medical field, never writing about autistic psychopathy again. In the 1970s however, the leading British psychiatrist Lorna Wing discovered his work. "She herself had conducted extensive research on children who she didn't feel fit into standard definitions of autism at the time," Sheffer said. "She was noticing a wider variety of characteristics, and she picked up Asperger's thesis." Asperger died in 1980, a year before Wing released her academic paper Asperger Syndrome: a Clinical Account, where she afforded him the eponymous title. Sheffer points out that while Wing "very generously" credited Asperger, she dropped the term psychopathy for the more neutral term syndrome. "If you read her paper it's very different from Asperger's: she's very compassionate and understanding of the children she describes." Sheffer believes Wing should be given greater credit for her "pioneering research" into the condition. "We should really be thinking of what we call Asperger's syndrome today as … Wing's syndrome," she said.